Anakao is a small beautiful fishing village stretching over a long beach located about 40 kilometres south of Tulear. 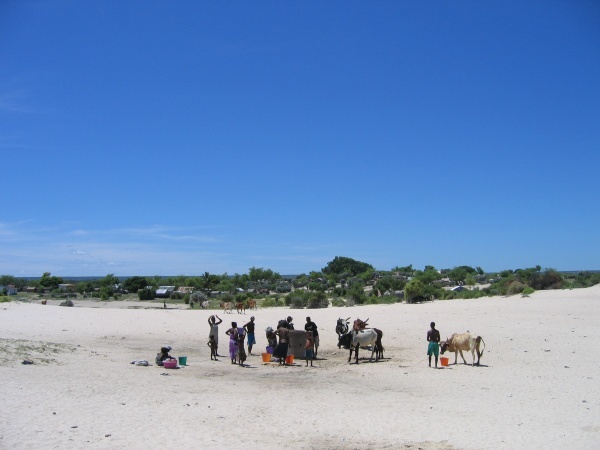 With the exception of a fairly small number of visiting tourist, the relative isolation of the village has helped preserve a traditional Vezo lifestyle amongst its estimated 3,000 inhabitants; one of the highest concentrations of Vezo people found anywhere around the coastline of Madagascar. Due to poor road conditions, the village is best reached by boat from Tulear, which usually takes about one hour. During low tide, the transfer begins with a short oxcart ride onto the shallow water seabed to reach a pirogue or motorboat. 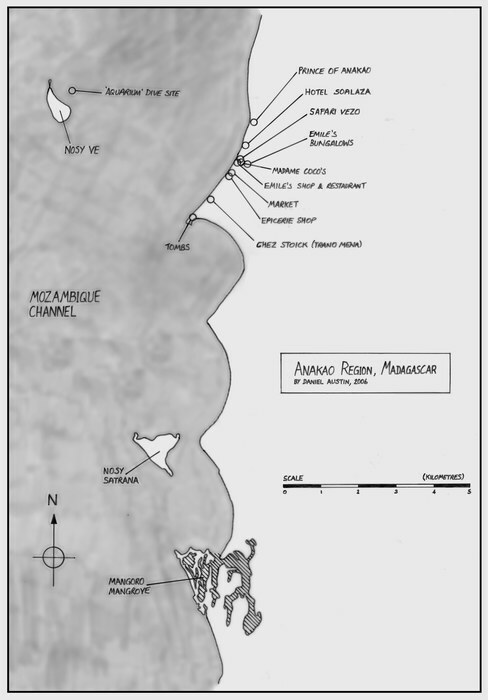 Various hotels in Anakao provide transfers that can be booked in Tulear harbour directly from where the boats depart. The fastest transfer is Transfert Anakao. There are a few basic hotels strewn along the coastline of Anakao and past both ends of the village. These are typically simple beach huts, providing a life on the beach experience for visiting tourists. In the early morning hours, countless pirogues can be seen sailing onto the open ocean for fishing trips and return with their catch during the afternoon in clusters of small sailing regattas. Some very large and ancient tombs can be found behind the village and depending on the profession of the buried they are usually decorated with either oars or zebu horns. South of the village fragments of eggshells from the world's largest bird, the now extinct Aepyornis maximus or elephant bird, can be found scattered along the beach. It is illegal to bring these shell fragments out of the country. Two small nature protected islands, Nosy Ve and Nosy Satrana, are located close to the coast of Anakao. Both islands are uninhabited and offer no accommodation and can only be visited by day. Boat trips can be arranged usually by fisherman pirogue leaving from the village or via one of the hotels. This page was last modified on 26 January 2018, at 06:28.